Frank Ganther lost his new, custom wheelchair when it fell off a canoe last weekend in the Schuylkill River near Conshohocken. Shown here in an older model, he hopes people will keep an eye out for it. Last Saturday, Frank Ganther and a couple of friends set out on a five-mile kayak-and-canoe trip from near the Spring Mill station in Conshohocken to Manayunk. It would not go as well as other trips on the water, which is something he sets out to do weekly in the summer. Ten years ago, a snowboarding accident in the Poconos left the 27-year-old Ganther paraplegic and dependent on a wheelchair, which explains why his new TyLite chair sat in a canoe for the trip. Who stole this Philly man's wheelchair? Thanks to recent rains, the Schuylkill River water level was high and the currents were swift. When the group was about 200 yards north of the Manayunk Bridge near Green Lane, the canoes flipped over. It's a major loss for Ganther, who depends on it to get out of bed and then to and from the Regional Rail that takes him to Center City for work each day. Making matters worse, the “top-end, customized” wheelchair was only two months old. His insurance plan covers a new one every five years. Frank Ganther hopes someone will find the wheelchair lost in the Schuylkill River. 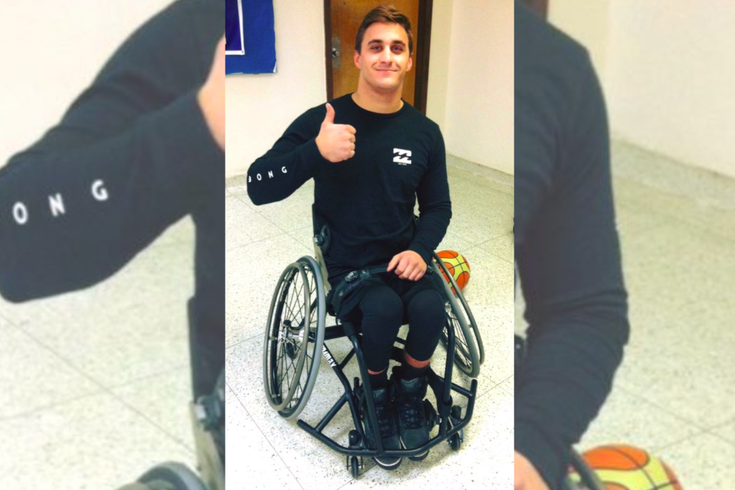 Considering he’s more than four years away from getting a replacement, Ganther, his family and friends have since reached out to police in both Conshohocken and Philadelphia, along with rowers and others along the water, asking them to keep an eye out for the missing wheelchair. “I don’t think it’d float, and the current might’ve pushed it farther down the river from the last time I saw it. It could be anywhere near there or south,” he said. “We’ve asked the crew teams to keep a look out for it, reaching out to anyone who might get eyes on it. Ganther’s mother, Barbara, has helped get word out, reaching out to the West Conshohocken Police Department, which shared her plea via Facebook. 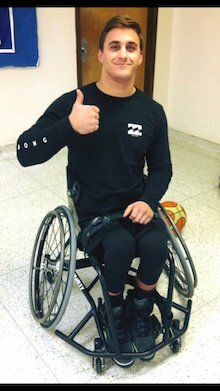 In the days since, Ganther got a rental wheelchair through his insurance company, and still has an “old, old one,” to keep him going. Still, he’s holding out hope that someone will catch a glimpse of a wheelchair that can still be salvaged. This isn’t about a GoFundMe campaign to raise money for a replacement. Instead, Ganther asks anyone who might see it to let police know or contact him via email.